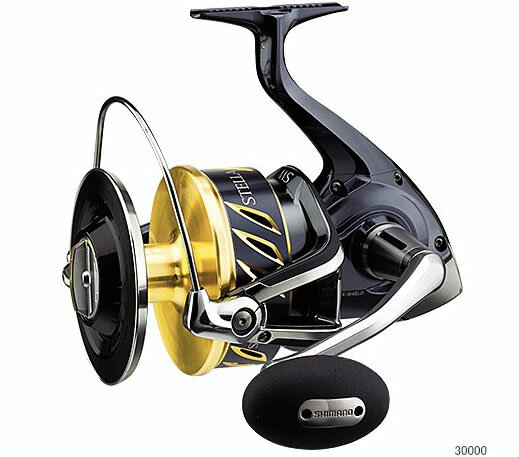 Shimano STELLA SW 30000 Saltwater Spinning Reel – A spinning reel with all the features of a high performance game reel offering versatility and castability. 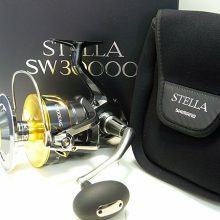 Shimano engineers have incorporated all their most advanced technologies in the Stella SW series to create the toughest and most sophisticated spinning fishing reel in the world. 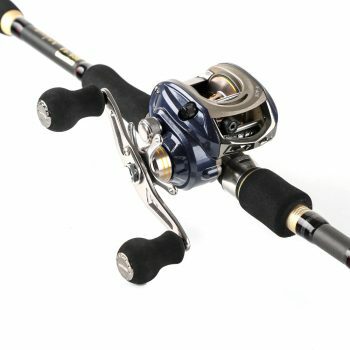 Reels in this series build with super rigid aluminium body, which won’t twist or warp. 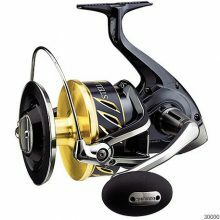 This supports the Hagane cold forged gearing system, resulting in greater cranking power. 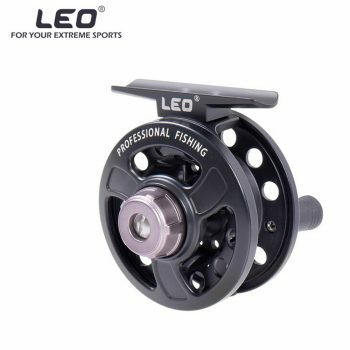 The gearing and one piece aluminium shaft, with stainless steel core, along with all other high load areas, are supported with an impressive 14 S-ARB bearings which means more power under load. All this power is transferred to the fish via the X-Tough drag system. 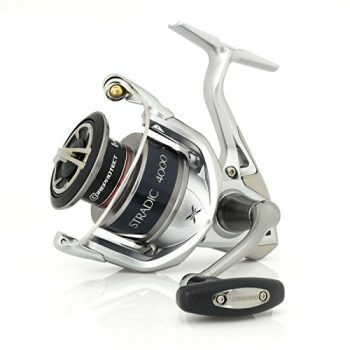 Larger drag washers at the base of the spool provide greater stability. This in conjunction with a coil wire spring results in precise adjustments throughout the drag curve and more control at high drag settings. 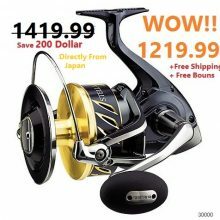 Drag capability of 25 kg -isn’t that cool? 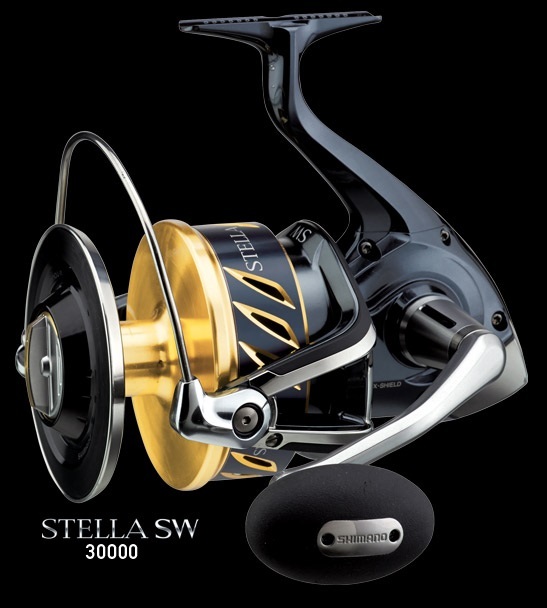 The Shimano Stella 30000 built for saltwater tough. 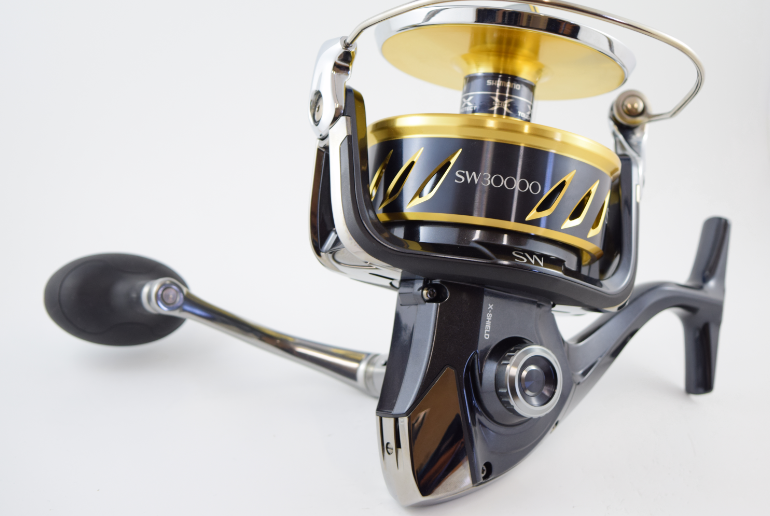 X-Shield and X-Protect gaskets and seals, along with Shimano’s legendary AR-B bearings will ensure years of hassle free fishing even in the harshest environments. 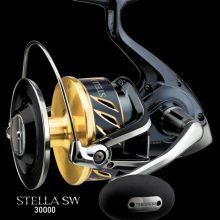 Casting and presenting lures and jigs to the oceans toughest predators perfectly and efficiently is what the Stella 30000 reel is all about, thanks to a combination of X-Rigid rotor, SR one-piece titanium bail wire and SW diamond like carbon bail roller. 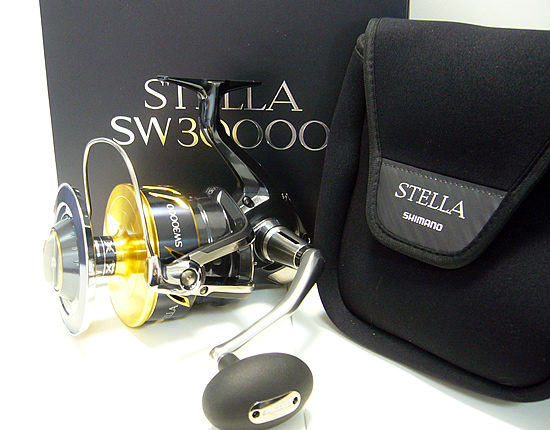 The Stella 30000 SW reel has a retrieve ratio of 4.4:1 and weighs 990 grams. 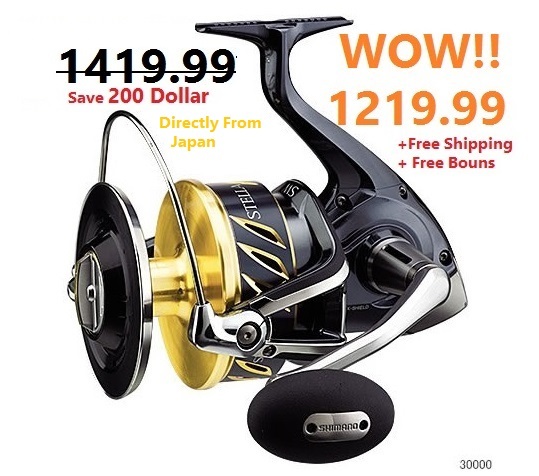 want to soak a bait, there is no better reel! Don’t forget the FREE SHIPPING.